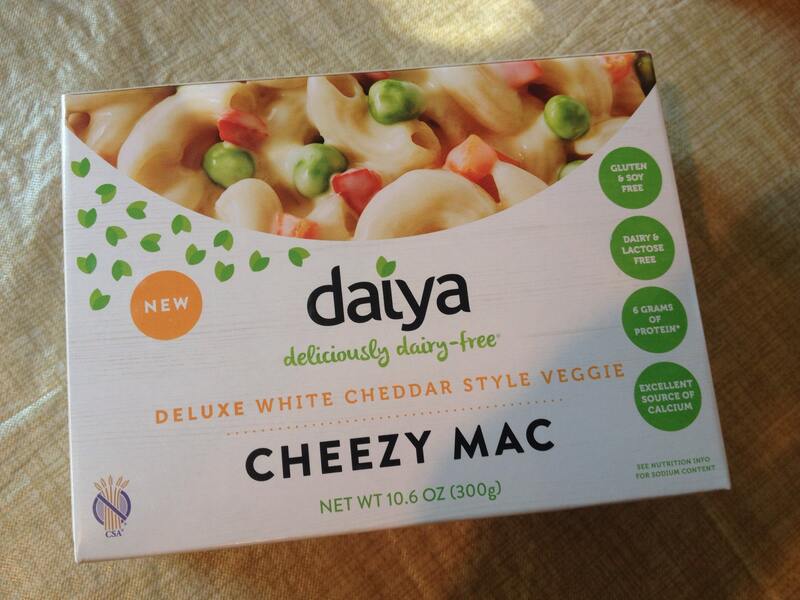 Daiya Cheezy Mac Review | Oh, she cooks! I want to tell you about a very exciting experience I had a few months ago. 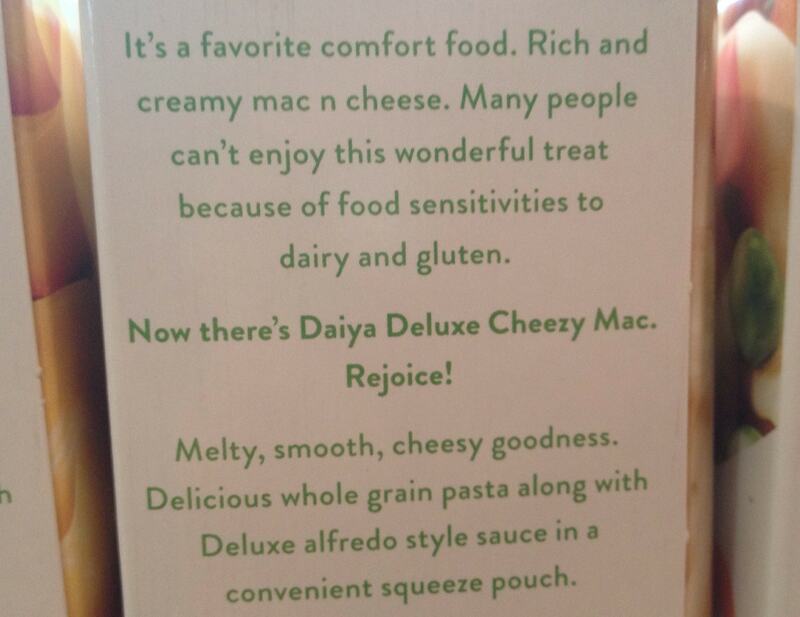 I follow Daiya Cheese on facebook, and there I learned about a new product: Daiya Cheezy Mac. I love Daiya products, and this one sounded particularly interesting because basically all you have to do is boil macaroni, drain, squeeze, stir. EAT. 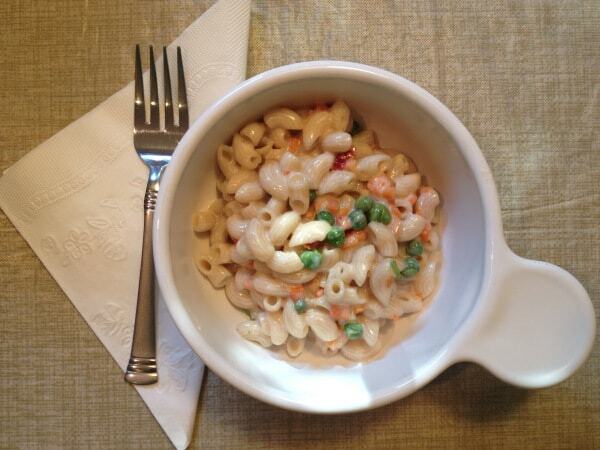 Did I mention the macaroni is gluten free? It’s made with brown rice and rice bran. The packaging itself is pleasing to the eye. I didn’t want to throw the boxes away – I’m a hoarder, so I kept thinking, “There must be something I can do with these boxes!!!!!! !” I haven’t come up with anything yet, but one day…oh yes, one day I will. “Rejoice,” they say. And I did! Now take notice, the orientation of the image and text is different on the front and back. Prefer landscape to portrait? Daiya has you covered. 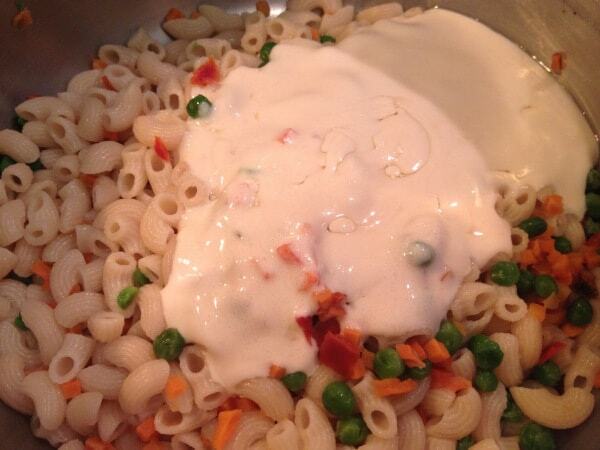 I tried the Deluxe White Cheddar Style Veggie first because more is better when it comes to cheezy mac. These are the contents right here, everything you need but the pot and water. 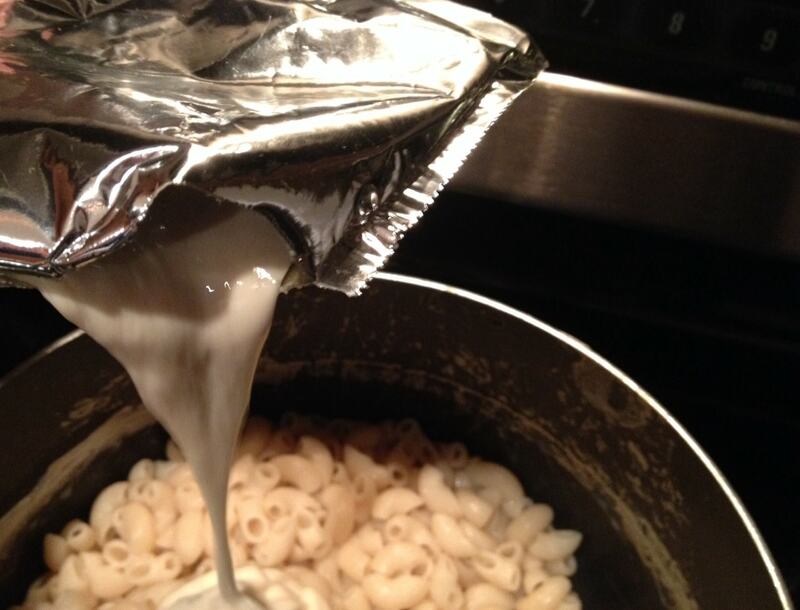 The ready-to-use cheez sauce comes in a handy squeeze pouch. they will plump right up. Now add that sauce! STIR. Each box claims to make three servings. This is what one serving looks like in my soup bowl. And this is the amount I thought I would actually eat, it’s about half the box. In reality, I ended up eating the whole entire thing, 900 glorious calories, in one sitting. Basically it tastes like the sauces I’ve made myself by melting down the Daiya shreds in almond milk and seasoning it with salt and pepper (except no pepper in this one). So I have a food blog, obviously I don’t mind cooking, but sometimes even I need a break. Now instead of eating a candy bar for dinner, I can have a real meal in 10 minutes. And it provides a good dose of calcium & Vitamin B12, plus a little protein and iron. 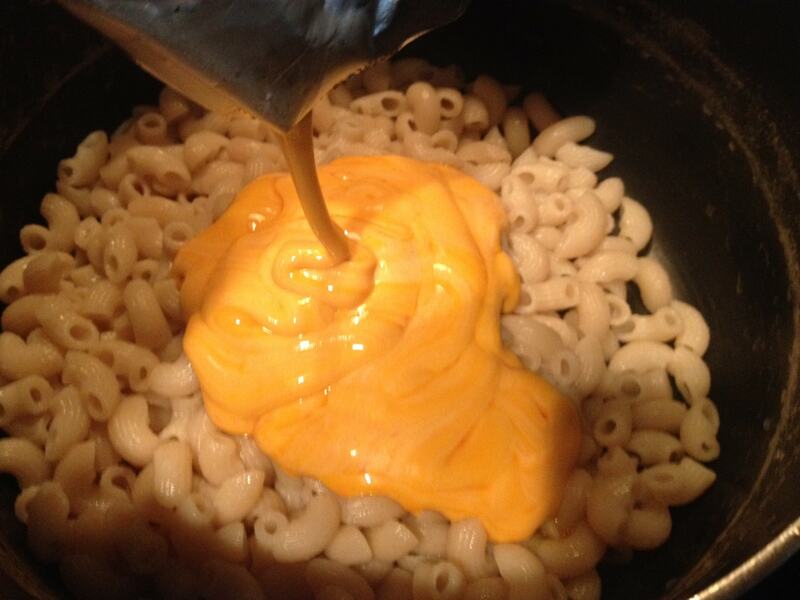 And now you can enjoy pictures of me squeezing the cheez sauce into the macaroni. There was *just* enough cheez sauce. 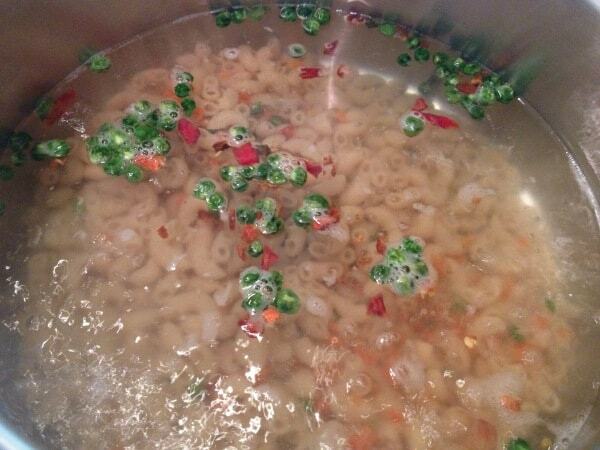 The macaroni wasn’t swimming in it, but it wasn’t skimpy either. Now, you only need 10 minutes to have a meal straight out of the box, but if you have 20 minutes you can fatten this up all kindsa ways. Later this week I’ll share my breakfast skillet recipe. 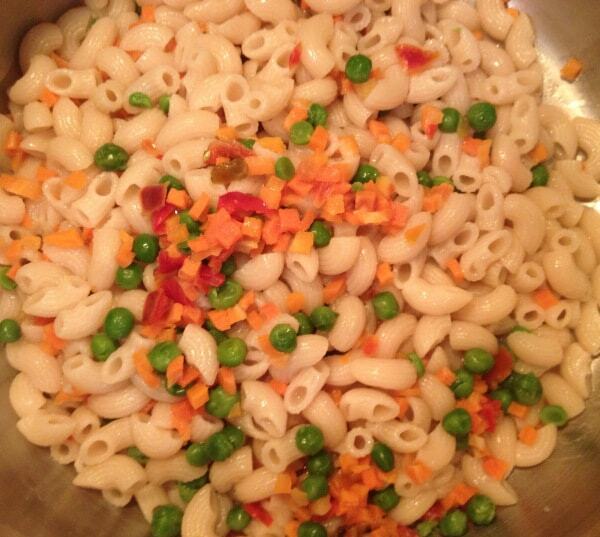 Did your mom ever put weird stuff in your mac n cheese when you were a kid? Mine did, and I’m going to recreate that recipe and see if it’s as gross now as I thought it was back then (sorry mom, I love you!). 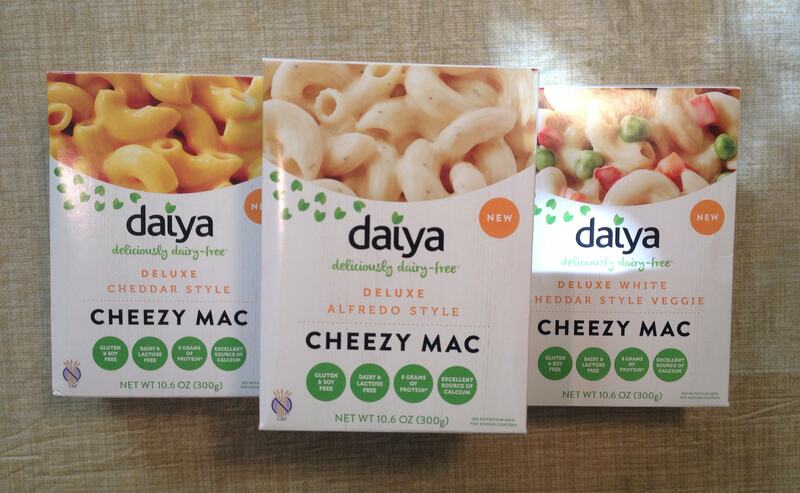 Have you tried Daiya Cheezy Mac yet? What did you think? I tried the Deluxe White Cheddar Style Veggie flavor, as well. It was a convenient, fast and filling meal. Pretty tasty. I just wish it came with even more veggies! Oops, I missed this one! Hahaha I can’t really remember what it tastes like either! Oh well! I’ll have to try it out! Especially since it’s easy to get — at Meijer! I’m not sure they have it at Meijer yet, so far I’ve only seen it at Whole Foods (found it while I was in Illinois). But I did write a letter to Meijer with a list of vegan brands I think they should start stocking. I hope others will do the same. We think so alike! 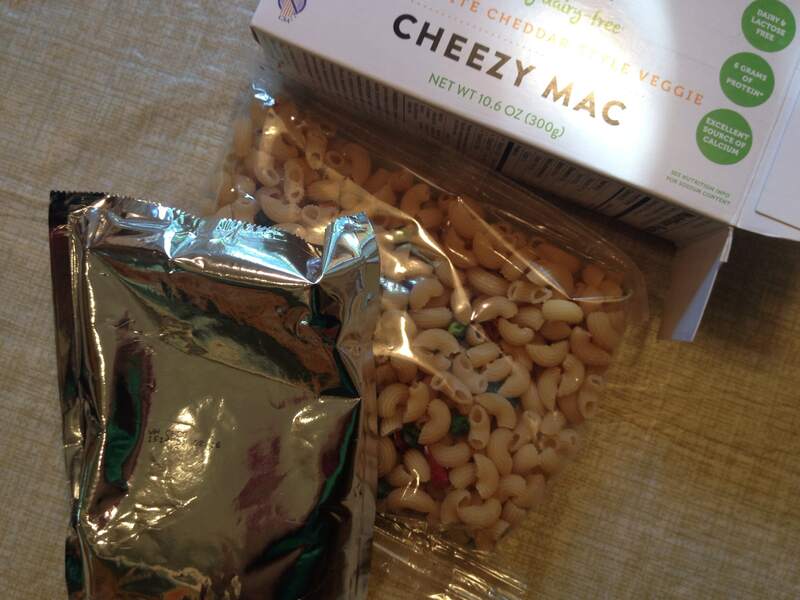 I was going to write a review of the Daiya boxed Mac N Chez too. I had the “cheddar” one. You went all out and had all three – go you! What did you think of the taste? So I’m not the only one that does that to get the last few drops. ha-ha I hope you don’t mind but I mentioned your review of the same Daiya products on my blog that I was writing at the same time as you. So funny how that works out. I placed a link in my posting to your site. Have you found Daiya Yogurt in your stores yet? I noticed it is out in some places just not ours. There is also cheesecake but I have been waiting for a special occasion for that one. Oh, I don’t mind at all, thank you! I’ll have to pop over and read your review now! I haven’t seen the yogurt yet. We just finally got the cheezecake here, I really like that. I’ll be posting a recipe with it soon. Might have to try to make another trip to Whole Foods to check for the yogurt! Man, I can’t remember the names, but there are at least 4 brands out there. Most are pretty cheap, made with soy bits (so I decided to just buy a big cheap bag of soy bits and make it myself!). Then one is made with pea protein, completely soy-free. It’s about $5 for a small tin. It has a good taste, but…that’s a little pricey for me to buy it regularly. I hope someday you will!! Until then, can you get Violife cheese in Italy? I bet you could melt it down and make a great sauce. How did I not know this exists? I LOVE Daiya (at least the cheddar shreds and slices.) They’re my splurge. But I had no idea this was around. 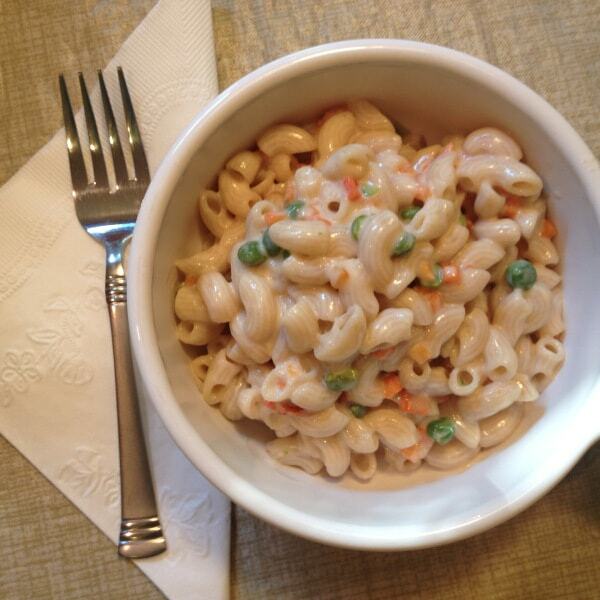 I also haven’t tried the Vegan Mac N Cheese from Amy’s yet (made with Daiya.) I loved the original version, but her the vegan version was “meh.” Anyway, good to know! This is relatively new, and not widely available (yet!). I only learned about the Amy’s mac n cheese recently. Luckily they sell that my local grocery store, I’m planning to do a comparison soon with different boxed & frozen brands. Exciting times we live in! Pingback: Cheezy Mac Breakfast Skillet | Oh, she cooks! Yes! I miss the days of having an easy mac and cheese option! Maybe this is one of the things we can trade when you send me Violife! I need to find these!!! I can never keep mine around long! My kids love mac and cheese! It’s one of their favorite foods! Interesting! I’m a cheese and butter gal myself, but I’m always impressed to see what alternatives are out there.